One of the benefits of living in the Internet age is that you can find out almost any information with a quick Google search. Millennials can quickly find out anything they want to know about a company, its products, and its history in order to make a purchasing decision. However, with more information comes more responsibility; Millennials want to know about not only what you do and sell, but also how you do what you do and what causes you support with your profits. Because of this, it is important to investigate the driving force behind your target audience when trying to market to Millennials. Brand development as a whole is key to catering to this group of consumers and investing in corporate responsibility is one way to develop your brand. How to Be Socially Responsible and Still Market My Business? 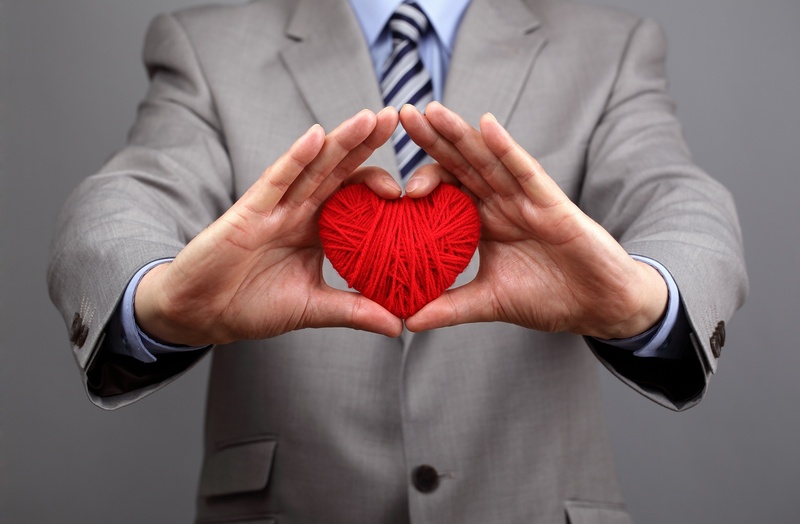 If you are wondering where to start with corporate social responsibility, don’t worry! We’ve come up with some dos and don’ts on how to incorporate this into your overall brand strategy. According to studies, 73% of Millennials will spend more money or switch brand loyalty for companies who invest in sustainable products. You can accomplish this by making a small effort to change up your packaging, use local vendors if possible, or even using different equipment when producing your products. Any small step goes a long way towards becoming a socially responsible company and it can make you stand out from other businesses in your industry who may not be making the same effort. Take the time to investigate whether there could be a better way to produce your products or go about your daily business tasks. Even small steps, like going paperless or initiating a company-wide recycling program is great and contributes to becoming a company that is socially responsible. As we’ve stated before, authenticity is essential when it comes to marketing to millennials. Although corporate social responsibility isn’t necessarily “marketing,” it does play a role in your brand’s authenticity which is what you need when marketing to Millennials. Millennials want to know not only WHAT causes and steps you are taking to be socially responsible, but also WHY you are doing them and WHY they are important to your business. Maybe you are passionate about helping veterans - state that as a core value of your business and then follow through by making an effort to hire veterans in your workplace and supporting organizations built to help veterans gain employment. Just be sure whatever you choose to champion, that there is authenticity behind that particular cause. As you may know, it is just as important to not be inauthentic as it is to be authentic. While this may seem like common sense, it is important to still mention. Some companies try to be so authentic that they infiltrate online forums using regular person accounts. There is no mention that this person is affiliated with a particular business or company and the person behind the account then tries to sell others on the business. This inauthentic approach will not win you any fans with Millennials and can often be a deterrent to Millennials looking to make a purchase from your company. Millennials want to not only do business with companies who practice social responsibility, but also want to help support the same causes. Give your Millennial customers the opportunity to be a part of your social responsibility ventures. It is an authentic way to connect with your audience as well as do something good for the world. Say you are interested in helping animals. Pick one day per month to donate all your profits to a local animal shelter. This will encourage Millennials to buy from you and will also get them involved in your charitable cause. In the future, when Millennials are looking to make another purchase, they will remember your brand and support your company over a competitor. Be sure when you are promoting your support of charitable causes, you do not merely do it for attention. So many businesses and companies get called out for lip service when it comes to corporate responsibility because they were not truthful or did not follow through on what they said (ex: not all donation money went where it was supposed to). Do not just support a cause for a marketing ploy or to gain brand awareness. Be authentic in your support and the right kind of marketing and brand awareness will follow. Remember - corporate social responsibility is not something you can do lightly. If you make a declaration to invest in a cause or make a change to your manufacturing processes, you must actually follow through and do it. Also, take care that the causes you invest in are ones that make sense and matter to you as a company. If you are just doing something to do it, Millennials will see right through the action and will not respect you as a company. Having said that, participating in socially responsible causes you care about is something to be proud of! Use it in your marketing. Make it a part of your company story. Let others know what you are doing and possibly inspire other companies to be socially responsible as well! If you do what you can to make the world a better place, the world (and especially Millennials) will be more likely to want to do business with you over a company that hasn’t taken the time to be socially responsible. If you are looking to target your marketing toward Millennials, download our free Buyer Persona template! This template will help you create the perfect marketing campaign to win over your target audience.